It may seem a tricky task to create a Chrome extension with TypeScript and Angular 4 but it turns out to be relatively simple. The advantage is that you gain the modularity of Angular and the object-oriented programming experience with strong typing of Typescript. Jacub explains how it is done. When I took on the task of developing Google Chrome extensions using Type Script and Angular 4, it seemed quite a daunting challenge; but after puzzling out how to register our Angular app as a Chrome extension, choose the optimum build process and configuration and to use the messaging system, it proved to be a great opportunity to learn some new technologies in depth. This article describes the general approach, the problems I needed to face, and the solution I adopted. The basics of Google Chrome extensions development is best learned by using its official documentation, so I’ll just give a brief overview and move quickly on to the detail of creating a simple Chrome Extension using Angular 4. The configuration of our extension needs to be defined in a special manifest.JSON file. In this file, we can define the constituent parts of our extension. It also allows us to specify what kind of privileges our extension requests. The example below shows the manifest structure that defines these access-request elements. Note: Chrome doesn’t treat index.html as the default page when you navigate to an extension address, eg. Chrome-extension://[extension-id]. In order to display a page, you always need to name the file that you want to see. After building the project, the resulting files can be found in the dist folder. That’s the place where the extension manifest file should also be located. However, it is not a good idea to keep manifest file there, because the dist folder gets removed each time Angular CLI builds the project. Thanks to this, the manifest file will be always be present in the build output folder. As you can see, Angular CLI takes care of placing the new files in their appropriate folder. It also generates the basic code in component files, so you don’t need to copy-paste it from previously implemented components. We’ve successfully prepared our Angular-based app so that it can be registered as a Chrome extension. Now it’s time to implement some functionality, so that the extension can do something useful. send message within currently executed extension by default. 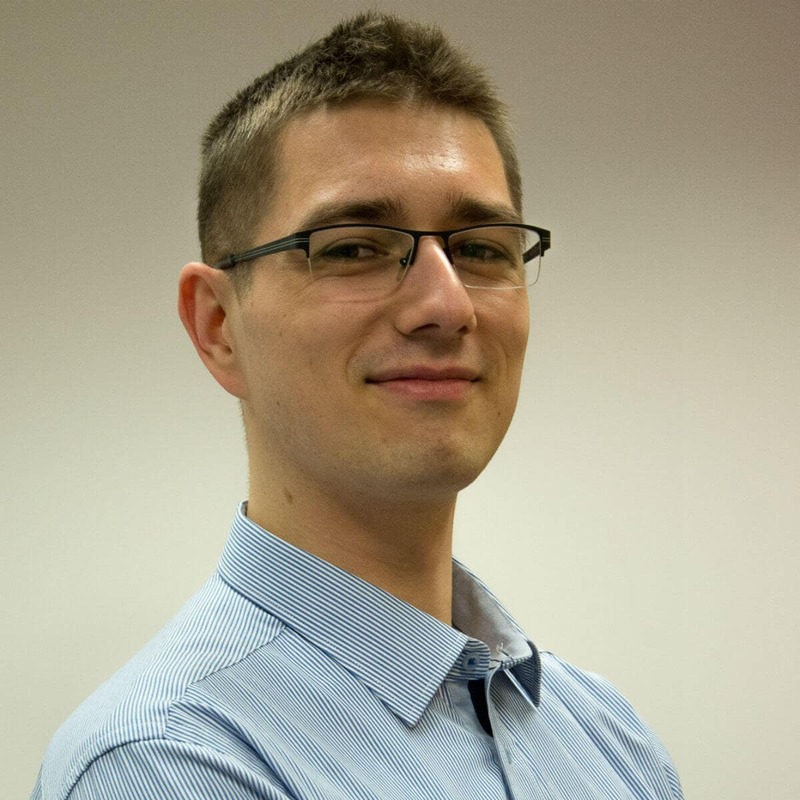 Develop it as TypeScript application and use 3rd party build tool (eg. Gulp) to compile it. The decision you take will depend on the project needs. If your content script doesn’t need to have complex logic, the first or second approach might be sufficient. Otherwise, it may be a good decision to define a Gulp building rule. Now we can develop the TypeScript modules that we would like to compile as the content script. Let’s develop some logic that will implement the Chrome.runtime.onConnect and Chrome.runtime.onMessage listeners. Although the task of implementing Chrome extensions using Angular CLI might cause some initial problems, these are easily dealt with. We can then benefit from a nicely modularized app that can easily be enhanced and developed using TypeScript. By combining this with the Chrome API we can develop powerful and fast-working extensions. Looks cool! Can you post link to the source code? Thanks! I will post it soon, sorry I didn’t do this so far. Brilliant! How long/how much trial and error did it take for you to figure this out? Looks awesome! Have you checked out the Yeoman generator? They have a cool Gulp task which automatically refreshes the Chrome extension within the browser. This helped speed up development a lot! Looks like the gulp task is deleting the content-script.js , how do i avoid this? After I changed “matches”: [“”] in manifest.json file, I was able to see alert message. I think “*://*/*” doesn’t work. Your work was fantastic. Thanks a lot. took some time to realize that “Chrome” is “chrome” (not capital). went to all types of errors. 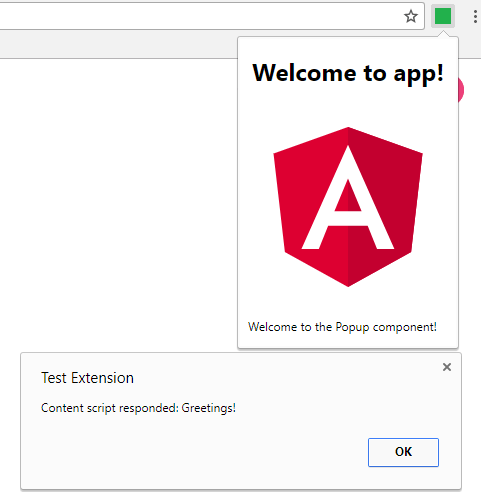 ..
Nice tutorial i’m able to send message to content script but unfortunately i want to do reverse of it, Ex: i want to send current tab url to angular app and i want my angular app to process it and send it to my external API server and then manipulate DOM of that tab according to response i received from my external API Server.